Micky was my favorite, too!!! Wow, I'm sitting here in awe. A brush with fame....and fame I like, to boot!!! 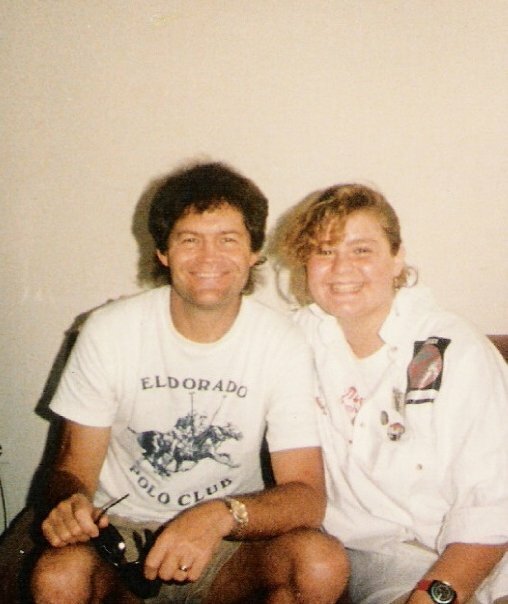 Weirdest coincidence ever, my BF just went to jury duty yesterday and facebooked that she had jury duty with the Micky Dolenz! LOL! Crazy world! BTW, We live in Ventura CA, he must be a county resident too! Wow, cool cool cool! I have always been a Monkees fan...I always thought of them as the American version of The Beatles. How happy you looked! lucky you! i love the monkeys! when i was growing up we would all rush home from grade school to watch their tv show. Mike Doland (was that his name?) was always my favorite. He seemed so tall and aloof. I heard he was the one with the most actual music talent. I always felt a little bad for him for that. But not really. Mike Nesmith! His mom invented white out. That is SOOO cool!! I always thought he was the cutest Monkee too. Meeting an idol is really neat. Cool! Although I always had a crush on Davy Jones. The Monkees.... wow... you totally trumped my Penn & Teller story. You've had such an exciting life, Ally. That's a cute picture too. Now that must have been such an awesome experience, especially at 13!!! So cool! Must have been a wonderful thing to experience. Thanks for sharing. You write so well, it makes me feel like I was there, too. That's a crazy gig for a 13-year-old. How very very cool! That's amazing! Davy Jones was my favorite until I realized he was not a cute boy with a bowl cut but in fact an aging man with a mullet. I've since moved on to Peter Tork. And to tie in with the school supplies post, I totally have a vintage Monkees lunchbox! It's pretty spectacular. I mean, not as spectacular as meeting Micky Dolenz, but I'll take what I can get. So you were a pretty good reporter. You brought back the story. Good picture too for your memory book.